Various Bang2writers have been asking me, especially on Twitter, about career and submissions strategies, so here’s a quick breakdown of approaches you may want to consider/try. As ever, the usual disclaimer: “buyer beware” and do your homework on all submissions opportunities … Plus, *obviously* nothing “guarantees” success and you may find you want to/need to tweak various elements of these approaches to suit your own life. 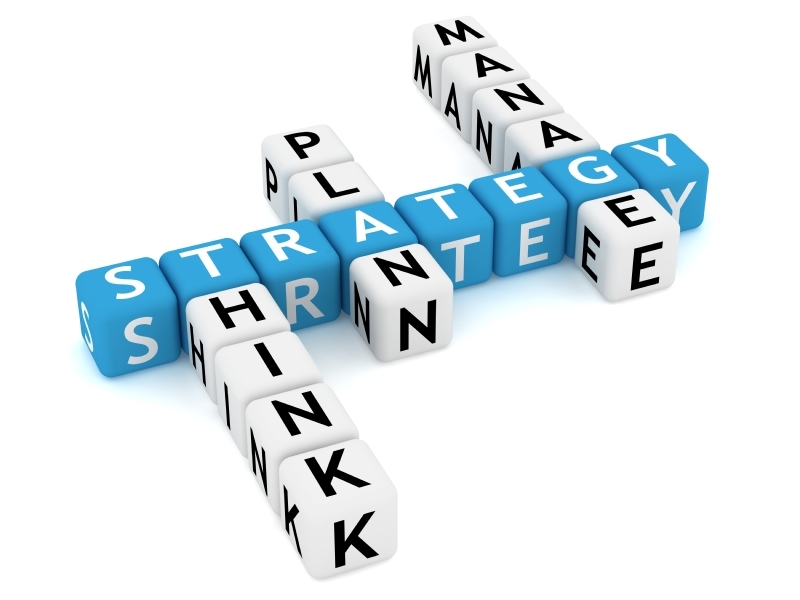 Equally, if you have a strategy you feel I’ve missed here, let me know in the comments section and I’ll add it. Good for: Autonomous workers; novelists; screenwriters who like research (especially into the marketplace) & networking, making new contacts, etc. i) What have you got? There’s generally no point sending your Horror feature to a TV company specialising in children’s television. Well durr, you say – but in reality, companies get sent stuff outside of their remit ALL THE TIME. So don’t waste your time or theirs by sending the wrong stuff to the wrong people! Here’s how to get your work solicited via email. ii) Find out who you’re sending it to WITHIN THAT COMPANY. Reach out; make contact. This has never been easier thanks to social media. GET A NAME. Never send stuff addressed to “Sir/Madam” or info@ addresses. There really is no excuse for an amateur approach. iii) Review accordingly. Remember, most places have a turnaround time of approximately 6-12 weeks. Mark 6 weeks from your submission in your diary, then follow up on your submission with a concise and polite query. If they have not read your submission yet, ask when you may call or email again. Mark that date in your diary – and do it! iv) Avoid peak times or holidays. Again, do your research and find out when people are busy. Avoid contacting agents during obvious peak times like book fairs and festivals. Avoid production companies when they’re shooting. And always, always avoid August (everyone’s on holiday) and December (durr). More in The Submissions Bundle @ The B2W Required Reading List. Good for: Writers with day jobs who need deadlines; writers who only want to write, without thinking about stuff like the market, budgets and logistics, but still catch specific industry people’s eyes. i) Look to the YEAR AHEAD – there are lots of great lists and directories of writing competitions and initiatives now. Here’s a list of screenwriting competitions; another directory of screenwriting contests; a list of novel writing and a submissions calendar to get you started. Here’s a list of Facebook pages and Twitter profiles worth following, many of whom post writing contests. ii) Work out what you need to enter these contests and initiatives in terms of a) writing & b) money (for fees, etc). Good for: Autonomous workers, especially those more seasoned writers and writing duos eager to make a sale, who are not afraid of doing a LOT of research, planning and prep. i) You watch and read EVERYTHING with a view to what works/what doesn’t work & figure out why. ii) You scour the likes of DoneDealPro, IMDBPro, GoIntoTheStory, ScriptMag etc, checking out who is making what, with whom and by what date. Novelists: you follow book editors and agents on Twitter, go to events like London Book Fair, etc. iii) You pitch ideas to social media/your industry contacts (as appropriate) and see what sticks. iv) You expand your logline to a fully fledged concept, ie. a one pager and short treatment or pitch. Get all – and I mean ALL – who expressed an interest in the initial idea to take a look and give feedback. v) Rewrite accordingly, until you’re absolutely certain the concept is bombproof. vi) Only NOW write the screenplay or novel. Rewrite and polish it ’til it shines. vii) Send your work to all who expressed an interest in seeing it when it was just an idea – for starters. Good for: Highly sociable screenwriters who want to write as part of a team to get their films made, especially on super low budgets or using crowd funding, but also those wanting to crack various funding avenues such as government initiatives and private investment as well as set themselves up as trainers, educators or in related fields (such as script editing). i) First up, decide what you want to do: low budget guerilla films? Mid range genre films with a commercial hook? Microbudget shorts or art films? ii) Set up a brilliant online presence. Make sure all your profiles “match”. Have a mission statement. Ensure people know who you are and what you stand for – bring people TO you. Build an online presence. And here’s what not to do on social media. iii) Plan ahead for the year and look to going to AT LEAST ONE major event such as London Screenwriters Festival, but also related events such as those at Women In Film And Television or at the BFI. Alternatively, go to as many free and/or low priced events as humanly possible – at least five in the year. Set up your own networking event if you need to. Make sure people know your face; who you are; what you do; what/who you’re looking for. iv) Cultivate those relationships – and treat it like a job. Always be positive and professional and people will WANT to work with you. i) You know what you want – and when by. Set those goals and review them and your progress at various junctures; make the necessary adjustments, don’t forge blindly forwards and cross your fingers. this will depend on a number of factors, many of them external, but screenwriting career coach Lee Jessup has some great advice on the *least* any writer should be doing, here. ii) You’re not afraid of changing the route. You may find you want to change tack completely. Lots of writers tell me they “can’t” because this means all their previous efforts were wasted. Nothing is ever wasted. Changing the route or endgame does not mean you are a failure. I originally set out, in 2006/7, to be a TV writer. I ended up a script editing novelist who helps organise London Screenwriters’ Festival. And I love it! Now I can’t imagine why I ever wanted to be a TV writer. Seriously. Never be afraid of changing the route … You could end up somewhere you never foresaw, but love so much more than your original goal. iii) You’re always learning – but you also have confidence in your strengths. Push yourself beyond your comfort zone – figure out EXACTLY which parts of your writing, skillset or experience you’re lacking and remedy this by doing a course, or asking/helping out the people doing it. But equally, have confidence in your own ability, too. A friend of mine emailed recently, asking if she should make her script reading “official” by doing a course, since she learned on the job? I said NO WAY – she is experienced and accomplished; the last thing she needs is to be told *how* to do the job she’s spent literally years perfecting. There’s absolutely nothing wrong with knowing you’re GOOD at what you do. iv) You’re generous. It’s as simple as this: spread the good karma, it will come back to you tenfold. So don’t guard all your info, leads and ideas jealously. Share them and you will advance; keep them to yourself and you will stand stock still. End of. v) You know when to let go. Don’t tinker endlessly with your drafts, or keep trying to work with people who no longer fit your game plan. These things evolve. That’s fine. Don’t sabotage yourself and stop your career advancing by not knowing when a project or relationship is dead in the water. Know when it’s time to move on! 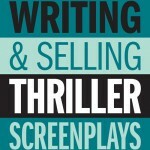 What Is A “Marketable” Screenplay? Excellent, helpful post, Lucy. Must spread the word now. Thanks for this article. Very useful. One thing though: those lists of screenwriting contests and initiatives are US-based, Moviebytes, in particular, has next to nothing for this side of the pond, as far as I can see. Do you – or anyone else – know of any more Eurocentric lists? Hi JV, yes there is a UK screenwriting competition now called Screenwriting Goldmine and there’s the Red Planet Prize, though that’s not run for a while. If you follow @HayleyMcKenzie1 on Twitter or Script Angel on Facebook, Hayley keeps track of all the UK comps as well. I’m a poverty stricken new-ish producer in need of finding exceptional writing talent. What would be the best way of going about it? Wonderful, I’ll collate some details over the next few days and drop a line. Thanks for sharing your knowledge and resources. My daughter could probably make very good use of this – she and her fiance run their video graphics company. 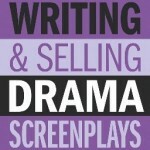 There seems to be a plethora of resources available to budding screenwriters. Are there any analogous resources, besides the Writers’ & Artists’ Yearbook, for the authors of books, novels, etc? Hi Bill, glad the post is of use! Yes, besides the Writers’ Yearbook there are LOTS of resources for novelists – probably as many as for screenwriters. Depends really what you’re after – I was a big fan of the “Teach Yourself …” imprints in the 90s, but in this post-internet age there’s books about every subject for writers now, like social media marketing; transmedia and so on. Here’s the most recent reprint of the book I mention, check out the suggestions at the bottom on Amazon for more. Good luck! All the above are excellent. For screen writers, I’d also suggest making your own short film or working with somebody else on theirs. This will not only give you a fantastic insight into the process and help you realise the realities of the transition from page to screen, but also help you build relationships with a wide range of people within the film and TV making community.